When you think of the Draconum, think of mystical Dragon People. Draconum are solitary, wandering warrior- monks seeking physical, magical and psychological evolution. Combat empowers the Draconum physically and spiritually for their next transformational Chrysalis, and they are driven by primal urges to battle in order to ready themselves for evolution. From the day they are born until the day they are dispatched by an enemy, Draconum seek only two things: combat and evolution. As they wander the Land, Draconum look for opponents strong enough to challenge their brutally honed martial abilities with only one goal in mind: personal growth. Born of the egg, Draconum spend the first months of their lives as wriggling hatchlings, filled only with the desire to eat and sleep and fight with their hatch-mates. These infant Draconum quickly grow into the loping, ferocious beasts called Whelps. These Whelps are frequently overseen by an adult Draconum and are often chained for their own protection—and to teach them the value of freedom. Chaining a Draconum is one of the cruelest punishments possible, and many dragon-men still wear their broken chains as a reminder that they were created by the Dragon Gods to be forever free. In the modern age, some Whelps are even learning to channel their rage at an early age, embracing magic or the martial arts in order to control their predatory instincts. When a Draconum is old enough, it must undergo its first Chrysalis. By going to a place where magic is strong, such as the nexus of three or more ley lines, they undergo a painful and magical transformation into a Neophant. They now run on two legs rather than four and often grow wings that allow them to fly. These young Draconum then learn the arts of language, fighting and magic from their elders, preparing for the time they leave their family and walk alone for the rest of their lives. Each Draconum’s ultimate purpose is known only to themselves, but Warlords often profit from alliances with these lords of magical combat. With the new levels of magical power available to the Draconum – not to mention the abundance of powerful veins and nodes of Magestone found throughout the Land – the Draconum are now able to Chrysalis into new and powerful forms. While the Draconum continue their ways of evolution, testing themselves in combat against worthy warriors in order to prepare themselves for the next evolutionary change, the awakening of the ancient Drakona instills doubt in some of the fierce dragon-warriors about whether the path of the warrior-monk is the proper path for their lives. The Drakona: As result of a band of Heroes awakening the ancient Drakona from their slumber, these ancient and cruel Draconum have begun to prepare an army of conquest. As they already sent flyers to scout the uncharted territories to the west of the Dragon City, and laid claim to the ore-rich region of the Kuttar Depths, these ancient warriors pose a major threat to the Black Powder Revolution, as well as the other factions of the Land. Magical Surge: As result of the magical energies pouring through the Land, the Draconum undergoing Chrysalis are gaining new forms, magical powers – and even scale colors – never before seen in the Land. 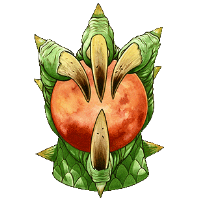 The so called "5th generation" Draconum are dangerously powerful, and may represent a major threat to the warriors they face in battle throughout the Land. 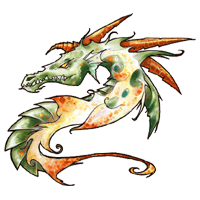 The Dragon Mystics follow the “path of the First Generation”, working endlessly to hone their mastery over magical energies. Unlike other sorcerers who shape their spells on the fly, the Mystics seek perfect control over magic. To that end, the members of the order study spells gathered over centuries from across the Land and understand many as well as their creators. There is no central collection of these arcane writings; the Mystics pass them among their members as widely as possible to ensure the survival of magical knowledge and give all its members access to as many spells as possible.